THE GOVERNMENT HAS come in for some harsh criticism after abandoning plans to hold a referendum on lowering the voting age from 18 to 16 years. Yesterday Taoiseach Enda Kenny confirmed that two referenda will take place this May – on marriage equality and reducing the age at which people can run in presidential election from 35 to 21 years. Fine Gael and Labour had committed to holding a referendum on lowering the voting age in July 2013, on foot of a recommendation from the Constitutional Convention. The news has been met with anger by some youth groups and opposition politicians. The Green Party accused the coalition of “betraying disenfranchised young voters who had hoped to participate in the next election”. In a statement released today, the party described the decision as “a cynical political move to ensure that those disproportionately affected by budget cuts are unable to have their voice heard”. Green party leader Eamon Ryan said the Government had treated the convention as “a sham, a sop, set up to pretend they are listening when, in fact, they are doing the opposite and acting out of sheer self interest”. The Young Greens have started a petition aiming to change the Government’s mind. Sinn Féin Senator Kathryn Reilly said there is “a great irony” in the Government’s refusal to hold such a referendum “given that it was endorsed by a Constitutional Convention set up at their bequest”. “The reality is that this Government is afraid to hold a referendum which will empower the people it has disadvantaged the most, presently and for the future,” Reilly added. A constitutional amendment bill on the issue, submitted by Sinn Féin, will be debated in the Dáil on Friday, 6 February. Craig McHugh, President of the Irish Second Level Students’ Union (ISSU), said the move was “extremely disappointing”. “We, and other youth organisations have been preparing and working towards this referendum. There is a growing appetite among young people to influence real democracy and to contribute to shaping our country by voting at a younger age,” McHugh stated. Back in November, we asked what you thought about lowering the voting age. Some 59% of you were against the move, with 35% in favour. Meanwhile, Junior Minister Jimmy Deenihan has said it is “unlikely” that a referendum on allowing Irish citizens living overseas to vote in presidential elections. Sinn Féin MEP Matt Carthy said the Government “has dragged their feet on this matter and seem to be content to put the issue of voting rights for the diaspora on the long finger”. 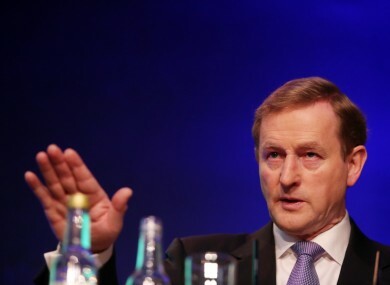 Email “Enda accused of 'betraying' young people by scrapping voting age referendum”. Feedback on “Enda accused of 'betraying' young people by scrapping voting age referendum”.